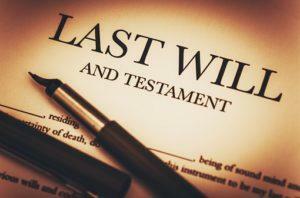 Often celebrities can provide interesting information about the estate planning process. All too often, this comes in the form of mistakes to avoid since too many celebrities never do their estate planning to begin with or fail to incorporate a holistic picture that would better protect them and their loved ones. However, celebrities can also provide interesting insight about unique estate planning provisions. The famous magician Harry Houdini regularly conducted seances throughout his life. He wanted to enable his spouse, Bess, to continue the seance practice after he passed away. The clause in Houdini’s will requested that his wife conduct an annual session with the afterlife and enabled his wife to do so through the memorization of a secret code that he thought would help with identification from the other side. Bess continued to protect this request for a decade and did so on Halloween which was the anniversary of her husband passing away. Including individual provisions inside your will is a common goal for many people approaching the estate planning process for the first time. Schedule a consultation with an experienced and dedicated estate planner to discuss more.